Sonic Boom Dual Alarm Clock SBD375SS from HealthyKin.com is the perfect his and hers alarm clock. 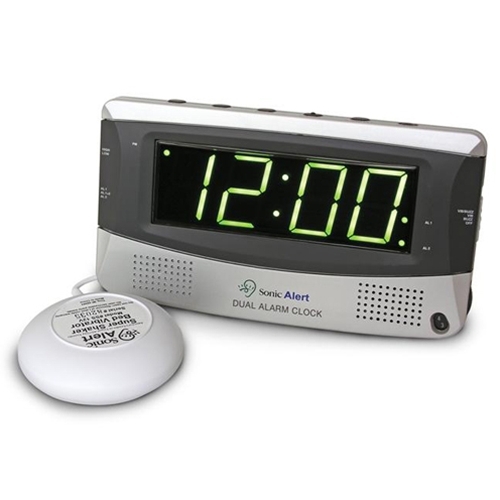 The SBD375ss allows for two different alarm times to accommodate two different sleep / wake patterns. It's a convenient solution to having to set different alarm times repeatedly, and you can go sleep not worrying about it. It also features an easy-to-read (1.8") display and bed vibrating unit.